The New York City-based health system tailored its care pathways to fix inefficiencies and gained back big ROI from the hard work it did with staff workflows and process improvements. Health information technology can do a lot to improve care processes, drive better patient outcomes and bolster the bottom line. But sometimes – with the right adjustments and a committed all-hands approach to using systems optimally – it can do even more. That's what IT staff and clinical end-users at NYU Langone Health have shown, with an initiative that modified a module of its Epic electronic health record to help standardize clinical pathways for more effective care and, in turn, save some $13 million. Here’s a look at what other hospitals can learn from work NYU Langone conducted. The Value-Based Management Clinical Pathway program launched by the health system more than three years ago was envisioned as a way for it to better align its EHR to drive best practices for physician decision-making, the ordering of labs and med and more. By focusing first on three areas – colon surgery, pneumonia and heart failure – NYU Langone was able to improve patient care and lower costs substantially by reducing unnecessary testing and treatment. It also – along with other projects focused on paperless registration and bundled payments for total joint arthroplasty – helped earn itself a HIMSS 2017 Davies Enterprise award. The clinical pathways initiative has its roots larger program at the health system called Value-Based Management, explained Jonathan Austrian, MD, a hospitalist who serves as NYU Langone Health's medical director, inpatient clinical informatics. "That was an enterprise call to action by the dean for us to really look at our processes and ensure we're providing maximum quality and maximum value," said Austrian. Colon surgery, pneumonia and heart failure were three areas that seemed ripe for improvement, he added: "The first step was to really understand where, clinically, we could do better in any of those conditions. When we saw these deviations from the standard of care, we knew as an enterprise we had to do better." NYU then formed a collaborative group that included physicians, nurses, social workers, care managers and members from of NYU Langone's IT department, "who are experts in workflow and the electronic health record," said Austrian. "We also included residents and nurse practitioners. We realized that people was number one: getting the right stakeholders at the table." Next was to codify a set of best practices for each of those specific clinical domains. For instance, there was a set of recommendations that should be put in place and kept consistent for all colon surgery patients, he said. "And for heart failure, we wanted to be very aggressive and also timely, in giving patients water medicine via IV to get the water out of their lungs quickly." With those clinical principles agreed upon, the next step was to iron out the processes for ensuring they're adhered to, and identifying the tools that can help support those best practices. "When we did an environmental scan of different tools within our electronic health record and third-party systems, we really thought the best tool was within our existing EHR – a module called Epic Pathways," said Austrian. It was a valuable piece of software. But it needed some adjustments to get NYU Langone where it wanted to go with its clinical pathways. "There was an existing tool, but it frankly was kind of envisioned as more of a nursing tool, and we wanted to create truly interdisciplinary pathways that involved both nurses and providers, so we had to modify some of the documentation tools and make sure it was available for all roles," he said. "Another tweak is we really worked with the vendor to make pathways as simple as possible. We tried to remove some of the extra screens and extra documentation paths. Epic and the developers were supporters of our initiative, and told us some of the ways we could streamline the workflow." It wasn't always easy. But one of the strengths of the VBM program was that "we had support of project managers, both in operations and in IT, and our clinical colleagues got very comfortable with those project managers, who are key to making sure projects get off the ground," said Austrian. On the flip side, those project managers were so helpful that "we had challenges with the transition of really handing over operational oversight of clinical pathways away from the project managers and to clinical leads," he said. "It was kind of a weaning off process," he said: "'The project manage have to go to other project, they can't continue to run your reports and prepare the dashboards for you. You, as the appointed operational leads, need to use these tools yourself and be able to sustain these interventions.'" 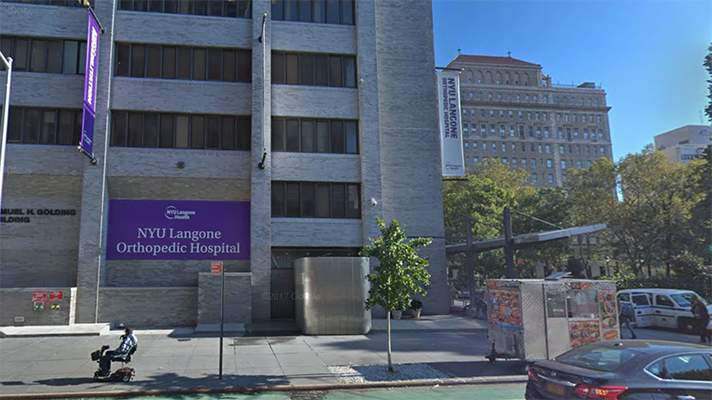 NYU Langone went live with all three pathways in March of 2015, and continues to use those streamlined processes today. It's also expanding its purview: "Our next pathway is going to be COPD (chronic obstructive pulmonary disease), which was another area that was identified as one that could benefit from an Epic clinical pathway." Clearly, this was a project worth doing. Beyond the boon to better patient care, the savings were substantial. Between the third quarter of fiscal year 2015 and Q2 of FY17, the health system was able to realize more than $12.9 million in savings from the initiative – about $2.5 million from colon surgery improvements, $4 million from better process for heart failure and $6 million for its pneumonia clinical pathways. Within those numbers, the savings came from several different areas. For heart failure it was by decreasing length of stay, for instance. But it was also just a combination of not using critical care units as often as had been required previously, and simply making sure patients got their care in a rapid and standardized fashion, said Austrian. As with so many successful IT projects, Austrian cautioned that this work is not a matter of doing it once and being done. "I don't want people to get the idea that you can just implement a pathway and realize these savings," he said. "There was significant institutional support and push at the highest level. We had buy-in, and we had access to reporting resources and project management resources. And it speaks to the strategy of people process and technology for a successful implementation and sustainability." That said, if hospitals or health systems want to try out a similar strategy for themselves, he offered a few bits of useful advice. "I would start with pathways for surgeries," said Austrian. "Surgical care tends to be more sequential and predictable. So pathways work really well in those kinds of forums." Also, "start with the end in mind: What are your goals, where do you see the pathway helping? Is it making sure the patients are getting the right medications? Or is it making sure that things aren't being done inappropriately to patients? "One of our outcomes is that patients don't routinely need a nasogastric tube after colon surgery," he explained. "And if they do, that's marked as a deviation. And then our clinical teams can look back – why did that patient require an NG tube, and was it appropriate, and is there an opportunity to help our clinical team continue to improve?" In general, his advice is to "really keep it simple." Initially, when the scope of what this project could accomplish came into focus, "there was a lot of enthusiasm about having a lot of outcomes to document on," said Austrian. "But what we've seen over time is that it's best to have a laser focus on those outcomes that we believe are going to be most meaningful to our patients. It's better to start with fewer outcomes, and expand if you're finding that over time and study that other outcomes are more important."